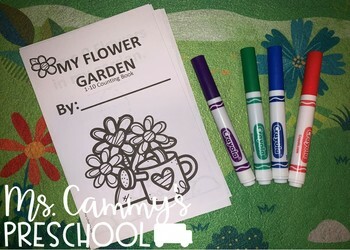 This fun spring flower mini book is a perfect way to practice number recognition, counting, coloring, and writing. What is the number? Count the flowers. Trace the number. Color the picture. My class loves to take home little reader books. Just print from your computer, cut, and staple.